The UI is way better that before. Well done Josh. And the game looks stunning, as usual. I am really looking forward to play this. Take your time and keep up the good work ! My goodness. As excellent as the game looks, I can hardly believe I find myself more excited about the interface than nearly everything else on display here. The music is a close runner-up. I guess I've been so confident that the gameplay and mechanics were destined to be good that the things that a select few games get right--the UI experience and the music--are suddenly what I'm appreciating most. Thanks for the video, Josh! roids + ambient music = spacesim win! Thank you for the update Josh. Love the music, it is brilliant; sounds like you have the right guy for the job. The game seems to be coming along very nicely, keep up the great work. Hello, thanks for the update. I agree with others, the music is excellent. Any possibility for an mp3 download? Great update! The UI looks gorgeous, and the atmospheric music is beautiful! The music is really nice - it fits perfectly with LT. It's all looking very pretty! Nice 'roids, dude! Talking about using the same high-level simulation to provide the AI the ability to reason about the universe and the implications of their actions within it, underscored by that fantastic atmospheric track? Goosebumps, literally. Obligatory Star Wars quote: C-3PO: Sir, the possibility of successfully navigating an asteroid field is approximately 3,720 to 1. Seriously though, I am very impressed by this, and the superb music certainly adds to the atmosphere, great work! @Alter Ego - This has been discussed quite a bit on the forums, and my answer there is - due to technical limitations, asteroids in general can't be mobile. The cost of a moving object is far greater to the physics engine, and it just wouldn't be able to manage if all of those rocks were movable (which, of course, they would need to be in order to rotate). Now, it's still possible that we can add some "special" rotating rocks for scenery, but they would have to be scarce compared to the fixed ones. Superb! Well what else am I going to say? It was a very impressive video.Voice-over was probably the best yet (everyone's a critic). The music was just right for the calm flying around you were doing. Good to hear it working so well. I did notice that your accuracy in asteroid shooting has suffered a decline. You also need to remember your Freelancer days when you were flying in dense asteroid fields. Never take your eyes off them. If you had hit that big one (14.60) whilst fiddling with your menus you would never have lived to finish LT. Just saying! Wow! LT is looking better than ever! Objects, and graphics overall really, are looking much more defined now. Definitely looking forward to more, and I can't wait to see how the NPC AI turns out! The progress you put out is phenomenal and inspiring! I just love the excitement and you always have something great to show! My one question at current is if players are going to have to handle gravity wells. There's this dramatic image I really like of having to route all power to thrusters to escape a planet's gravitational hold, perhaps using it as a sort of slingshot. Furthermore, are we going to be able to land on planets and set up bases (or trading posts or anything else)? It's a joy to watch this universe grow and mature, and Josh just exudes so much enthusiasm in these videos, it's great watching them. Gets me hyped every time. really great seeing how things are coming along. I've backed too much projects but yours is kind of *the* one I'm looking for updates every month. 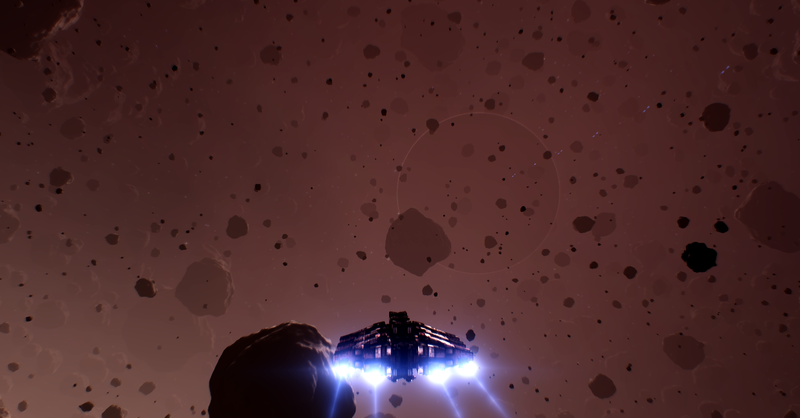 Seeing the Asteroids coming along is really great. But I've one question/suggestion: I don't know if you read my comment from December 2012 (woha, long time ago?) 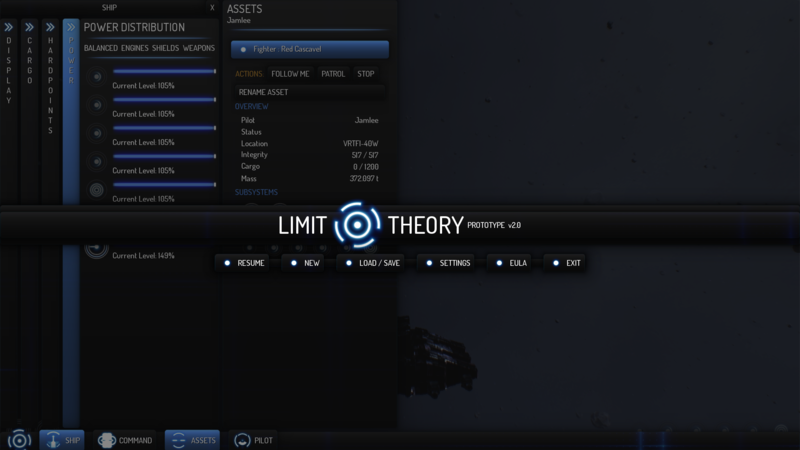 but it still holds true: what if asteroids would rotate ... see my comment: http://www.kickstarter.com/projects/joshparnell/limit-theory-an-infinite-procedural-space-game/posts/361652… . This guy is crazy. And he sure delivers. :-P Can't wait to play the game and go digging roids.